After the announcement of the BBC-documentary Genesis: Together And Apart, another release has been announced today: On September 22 (29th for the world) the band will release a new 3-CD-Set, called R-Kive. For the first time ever, a Genesis compilation features Genesis tracks AND selected solo songs from the classic line-up members. Without any doubt this is part of a concept to bring Genesis back into the business, after years of silence. The press release states that Genesis and its members have a total 14 #1 albums in the UK and have sold more than 300 million albums worldwide. R-Kive is the third career spanning compilation after Turn It on Again: The Hits from 1999 (and its expanded rerelease on 2CD in 2007) and the 3CD-set Platinum Collection from 2004. The compilation 14 From Our Past (2007) was a special sampler, only available in Starbucks stores in North America. It is the first compilation to feature solo songs. So far, Genesis have never mixed solo and band careers. 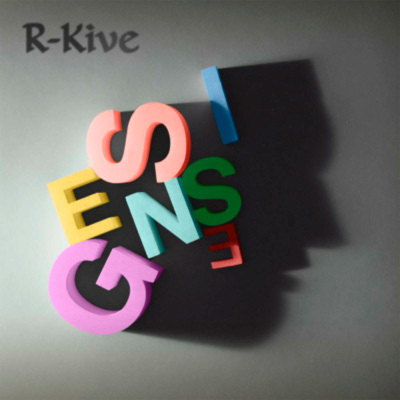 On R-Kive we find 22 Genesis-tracks, and each of the five solo careers (Tony Banks, Phil Collins, Peter Gabriel, Steve Hackett, Mike + The Mechanics) has an equal share of three additional songs each. The selection of the solo-tracks may be a surprise: From Tony Banks, For A While from A Curious Feeling and the Still-opener Red Day On Blue Street are part of the set and the most recent Siren from SIX is the last track on the third CD. Peter Gabriel has selected, besides Solsbury Hill and Biko, his anthem Signal To Noise from the UP-album, and not the expected mega-hit Sledgehammer. As for Phil, there were loads of hits to choose from. With In The Air Tonight and Easy Lover we find two of the more or less expected tracks, while Wake-Up Call from the rather unsuccessful album Testify is a surprise. While Genesis have the classic prog tunes as well as their most successful hits on the package, both, Collins and Gabriel, have decided not to include songs from their most successful albums No Jacket Required, ...But Seriously as well as So and US. Mike Rutherford's tracks are only Mechanics tunes: Silent Running, the worldwide smash hit The Living Years and Over My Shoulder from the Beggar On A Beach Of Gold album. Steve Hackett is the only solo career to be featured on disc one of the chronologically ordered set. It is Ace Of Wands from his debut album Voyage Of The Acolyte (which also was the first ever solo album from anyone of the classic line-up). From Spectral Mornings, Every Day is on R-Kive. A surprise may be Nomads from Out Of The Tunnel's Mouth). Anthony Phillips and Ray Wilson are not featured with solo songs, they are only part of the set through their contributions during their rather short time as part of the band (The Knife from Trespass and Calling All Stations from the album with the same name). The press release says: The release of ‘R-Kive’ will be followed by the accompanying reunion documentary ‘Genesis: Together and Apart’ which will be broadcast by the BBC in early October. An accompanying DVD, ‘Sum Of The Parts’ will also be issued by Eagle Rock on November 17th (November 18th in North America). The exact content of that DVD (and most likely also Blu-ray) is unclear right now, but we can expect the BBC documentary to be part of this release. Pre-orders for R-Kive are available at amazon-uk. For the campaign for R-Kive, a special website has been designed, available soon at this link.